This year’s festival jury, chaired by director Ruggero Deodato, certainly had no easy task. A total of nine films competed for best film. Full of passion and esteem, Deodato announced the winner on 02 September 2018 – the biographical film drama “A ROSE IN WINTER” directed by Joshua Sinclair. In impressive images by triple Oscar-winning cinematographer Vittorio Storaro, the film tells the moving and motivating life story of nun Edith Stein. 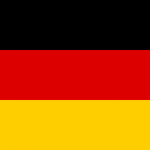 Born a Jew, she demonstrated uncompromising courage as an outspoken proponent of justice in the women’s movement at the beginning of National Socialism in Germany. Her actions as a Carmelite challenged the Holy See to oppose the Holocaust. A path that would lead to her martyrdom in Auschwitz. The audience in Wolfsburg honored the film and its award with minutes of applause. 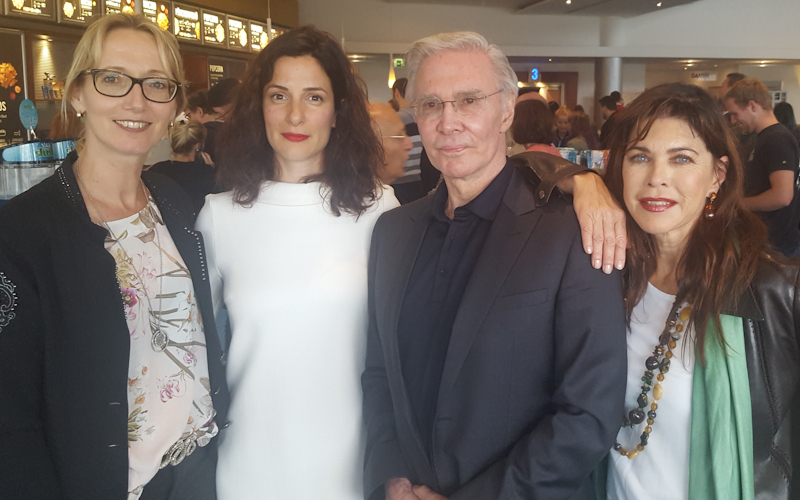 Lead actress Zana Marjanovic, director Joshua Sinclair, cinematographer Vittorio Storaro, actress Anja Kruse and producer Ruggero de Vergiliis were visibly moved and grateful for the award. In the following Q & A with festival director Dr. Michael Flintrop, they provided exciting insights into the making of the film and underscored its all-important message. On 03. 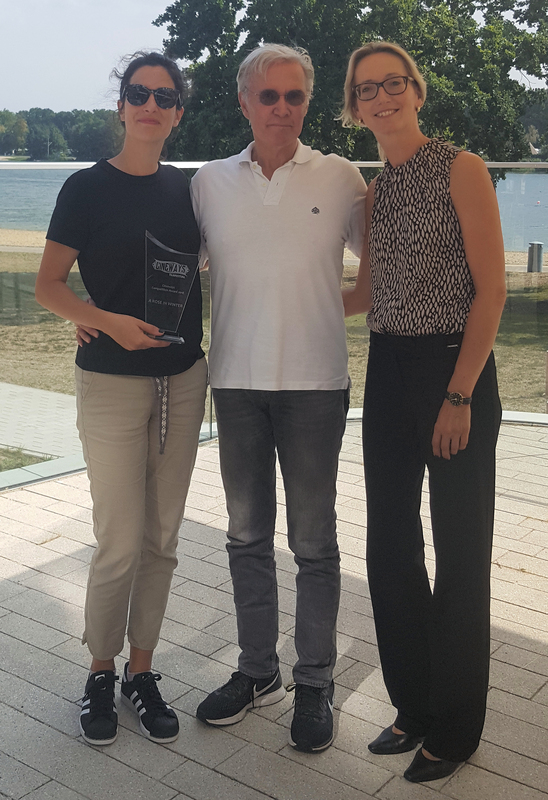 September 2018, Cineways Marketing Director Cordula Ebeling presented the trophy to Zana Marjanovic and Joshua Sinclair. 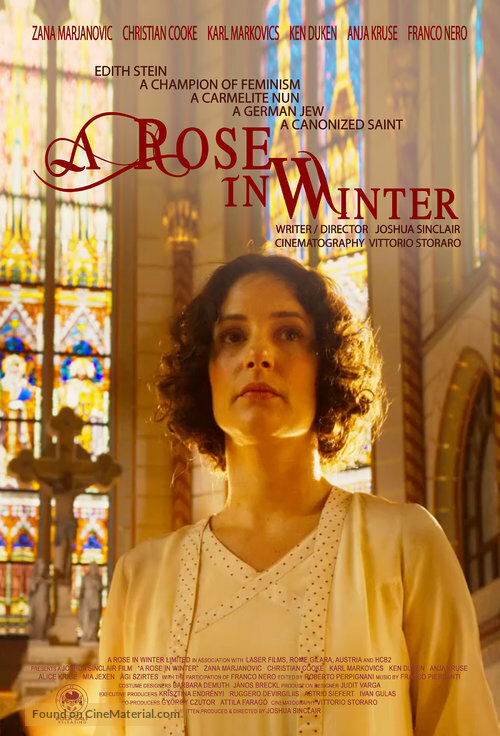 A ROSE IN WINTER tells the moving and motivating life story of nun Edith Stein. Born a Jew, she demonstrated uncompromising courage as an outspoken proponent of justice in the women’s movement at the beginning of National Socialism in Germany. Her actions as a Carmelite challenged the Holy See to oppose the Holocaust. A path that would lead to her martyrdom in Auschwitz.  I must admit, I had never heard of Edith Stein before I went to see the screening at the 7th Cineways International Filmfestival in Wolfsburg. A little research into her life story built up both curiosity and anticipation to see her extraordinary journey on the big screen. The cast and crew of the film couldn’t have been chosen more carefully – first and foremost, it was the combination of director Joshua Sinclair (“Jump!”, “Shaka Zulu”), lead actress Zana Marjanovic (“In the Land of Blood and Honey”) and triple Oscar-winning cinematographer Vittorio Storaro (“Apocalypse Now”, “Reds”, “The Last Emperor”) that provided the film with its foundation for excellence. Opening with a nighttime cityscape panning into a newspaper office, your are immediately thrown into the magical world of cinematographer Vittorio Storaro, in which every shot almost feels like a painting coming to life. We are introduced to journalist Michael Praeger (Christian Cooke) who begins to delve into the story of Edith Stein and thus serves as a guide through the plot during which he discovers, that he himself is an essential part of it. Bosnian actress Zana Marjanovic delivers a moving, multi-faceted and poignant performance in portraying Edith Stein. You realise quite rapidly, why director Joshua Sinclair did not want anyone else for the role. Complemented by the extraordinary lighting and colour palette of Storaros masterful cinematography, Edith Stein is given a cinematic memorial, relaying a powerful message to the audience that cannot be overlooked or mistaken. No woman in the world should ever be afraid of speaking her mind, standing up against sexism and abuse as well as demanding to be treated equally without exception. The supporting cast includes some extraordinary international talent who jointly breathe life into their respective characters. Among them are Anja Kruse (“Die schöne Wilhelmine”), Karl Markovics (“Grand Budapest Hotel”), Hannelore Elsner (“Die Kommissarin”), Ken Duken (“Inglorious Basterds”), Alice Krige (“Star Trek – First Contact”) and Franco Nero (“Django”) in a guest appearance. What made this film stand out for me was the masterstroke of wrapping the overall sad and emotional story in a perfect symbiosis of beautiful visuals, a subtle musical score, excellent direction and high quality acting. Every filming location carefully selected and captured on film, every costume and make-up fitting to the smallest detail. Altogether, you are thrown into a living work of art where the love and dedication of all participants becomes palpable and has created a moving film that brought me to tears three times during its final half. Never during its 138 minute runtime does the film explicitly hit you over the head by instilling feelings of guilt for what happened during the Nazi regime – a feeling that you easily get with many films when you are German like me. But although I am of another generation, I felt rightfully ashamed of our past by being confronted with the fate of the individual – Edith Stein. But the shame is a healthy one, as it reminds you to look inside your heart and ask yourself, how you see our world in the present and reflect on your political and interpersonal views. With A ROSE IN WINTER, director Joshua Sinclair and his team have not only delivered a film for a mere quality afternoon in the cinema but an experience that grabs you, shakes you and makes you confront realities. That is the power of real cinema and deserves nothing less than 5 out of 5 stars.